What comes to mind when you think of Voodoo? Spooky possessed objects and trinkets, Voodoo dolls, spells, demonic worshiping? As a kid, these are the things I thought about if I heard the word Voodoo, but it wasn’t until I got older that I stopped and asked myself questions to consider what it really is. What makes it scary? Is it really an evil practice? How much do I even know about Voodoo? The answer was not much, and from what I have learned about propaganda and African and African American History, I realized that it was not at all crazy to think Voodoo was a religion, like any other. Pop culture would have us believe that is an abnormal practice by unruly heathens, who use it for dark purposes. 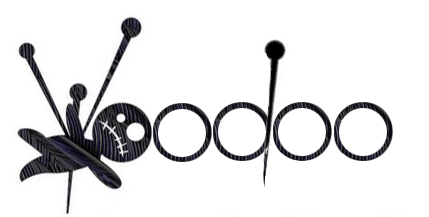 Media is created to sell a story (regardless of whether or not it is true), so there is no wonder that the dramatization of Voodoo on television causes people to think it is an odd and evil practice when in reality it is a religion that millions of people around the world practice. There are several terms for this practice, some of which are: Voodoo/Vodoun (Louisiana), Vodou (Haitian), Vudú (Dominican & Puerto Rican), Vodú (Cuban), and Vodum (Brazilian). Each type has its own characteristics and practices, but each of them is derived from West African Vodou or Vodun, which means “spirit”. It’s West African origins are thought to have been created in the Kingdom of Dahomey, practiced by Fon people in Benin, Southern & Central Togo, and Yoruba people Ghana and Nigeria. The Transatlantic Slave Trade brought millions of West Africans to southern America, South America and the Caribbean, many of whom brought their traditions and languages with them. This was the beginning of Haitian Vodou. African slaves were prohibited from practicing their home religions, and their masters were instructed to Christianize them. At one point, converting to Christianity could help slaves gain rights as a citizen in different parts of Europe and America. However, in 1667 a law passed in Virginia which stated that conversion no longer equated freedom. Still, non-Christian religious practices were subject to harsh consequences. As slaves in Haiti became baptized as Catholics, they began to incorporate pieces of Catholicism into Vodou such as the saints, statues, and hymns. Vodou practices were mocked and reprimanded by Haitian slave owners, as they were afraid of the unknown, as well as the fact that they were outnumbered 10-1 . Tension among slaves and slave owners in Haiti increased steadily and soon after the French Revolution began in 1789, the Haitian Revolution (1791-1804) rose up as Haitians demanded their freedom from French rule, especially as French citizens were fighting for human rights. The Haitian Revolution consisted of numerous slave revolts, which were said to have inspired by Vodou spirits, because they had allegedly been preceded by a secret Vodou ceremony. The Haitian Revolutions was extremely gruesome and violent, instilling even more fear of Vodou and African traditions in European colonizers than before. The revolution led to the French fleeing Haiti and some settling in Louisiana with their Haitian, Vodou-practicing slaves, who helped bring Vodou to New Orleans. In both Haiti and Louisiana, Vodou was a form of emotional resistance against the constant oppression in every aspect of their lives. There was no easy way to deal with being forced from their homeland and bullied to leave everything they knew behind, but still, they persisted. Haiti is the only example of a successful African slave revolution. 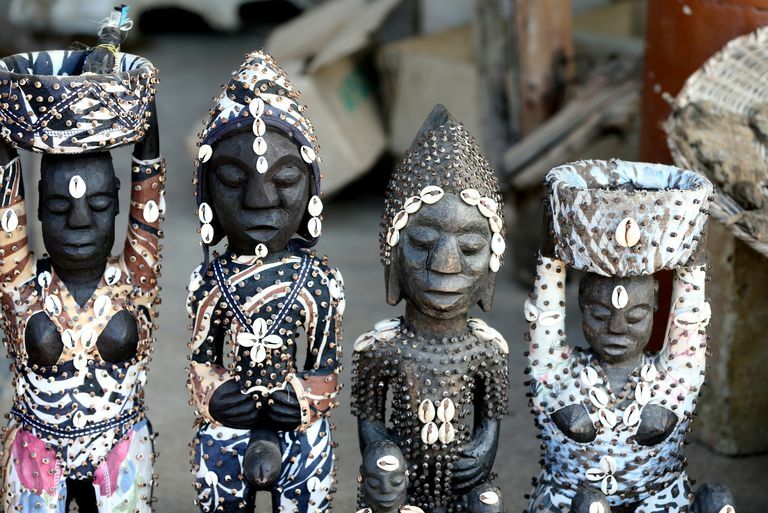 All of this history, coupled with the fact that elements of African culture that did not align with the colonizers’ way of life were often demonized, contributed to Vodou being classified as evil and taboo, even today in different parts of the world. Vodou Priests and Priestesses are often criticized for their performances of spirit possession, along with their worship of spirits. The fact is, people don’t take the time to understand it as a religion that has been oppressed. Some of their practices are very similar or identical to Baptist and Catholic applications. Today in Haiti, Vodou is understood and accepted so much that some of their politicians are openly Vodou. Catholic Vodou practices are a normal part of life for many Haitians, in part due it being ruled by their own people. 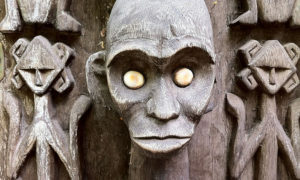 Turns out Voodoo isn’t as scary as we’re taught to believe.